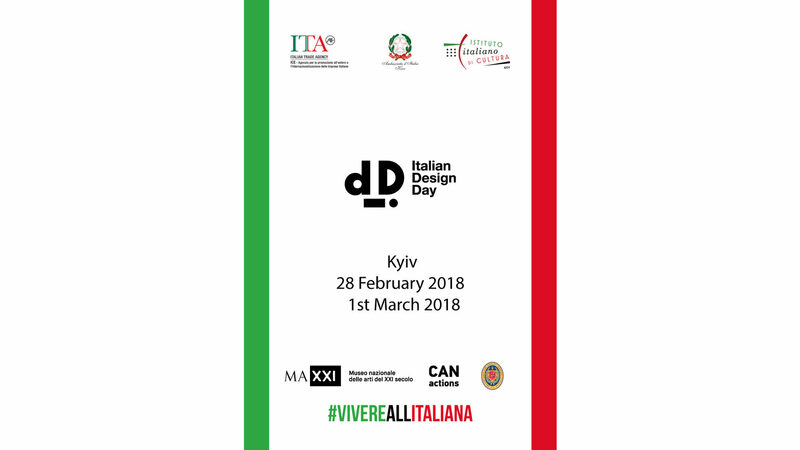 The Italian Design Day will take place in Kyiv on 28th February and 1st March, in the framework of the second World Italian Design Day. The event is organized by the Italian Embassy, the Italian Cultural Institute and the Italian Trade Agency. During this year's edition, the Italian Design Day will present two events with Pippo Ciorra, architect, professor and senior curator of the MAXXI Museum – the National Museum of 21st Century Arts and the first Italian institution devoted to contemporary creativity. – 28th February in collaboration with СANactions, a conference entitled "Recycle Design", focused on sustainable architecture with the aim of describing – through the exhibitions of the MAXXI Museum - how to deal with sustainability using design tools. Students, professionals, experts and museum promoters are invited to attend. Event is open to the general public. – 1st March, h. 11:00 – National University of Construction and Architecture (Povitroflotsky pr. 31), Room 101 – A workshop with the students about the activities of the MAXXI Museum and the opportunities in the field of design and architecture.